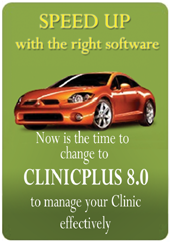 We are currently looking for dealers to distribute, install , training and maintain our products, especially ClinicPlus 8.0 - Complete Clinic Management Software. committed to provide good after sales service to the customers. 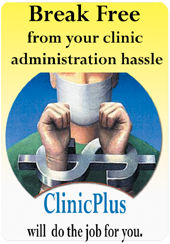 Why Be A ClinicPlus Dealer? Vast market - estimated 50,000 GP clinics in Malaysia. Mostly not computerised. ClinicPlus is a terrific product - loaded with plenty of features and flexibility. Suitable for GP and Specialist Clinics. Top-notch technical support - available when you and your customers need it. The price is right for the target market - generous margins with low up-front costs. NettSys is a terrific company to work with - hard-working, honest, and professional. A stable and dependable company and software product for nearly 6 years! Call us today at 03-7877 2327 or email us at info@clinicplus.com.my for more details.